The freshman House member encourages other Black millennials to run for office and not give up on their dreams. 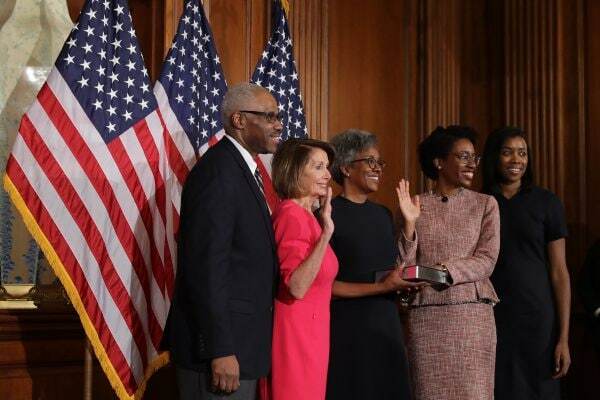 Illinois Rep. Lauren Underwood made history last fall when she was elected to Congress, the youngest Black woman to ever win a seat in the legislature, at 32 years old. Now as a freshman lawmaker on Capitol Hill, she is wasting no time getting to work, and encouraging other Black millennials to follow in her footsteps. As a former Obama administration staffer, registered nurse and health policy expert, Underwood says that Black people are often the backbones of civic and social justice movements, but not in seats of elected power. Underwood also addressed the question of whether the American dream is dead for Black millennials who are struggling to afford homes, pay down student loan debt, take care of their aging parents and build a future. “If we surrender the American Dream as something that’s only achievable by other groups then we have lost,” she said. Underwood acknowledges the structural racism that exists and creates unique obstacles for Black millennials. She says she’d like to see this generation continue to support each other by actively organizing, rather than stopping at social media awareness. “We’re not the only generation to be struggling with these issues. Homeownership has been out of reach for African-Americans for generations. We can’t feed into the hype, we have to continue to strive and aspire. Watch more from our interview with Rep. Lauren Underwood in the clip above.